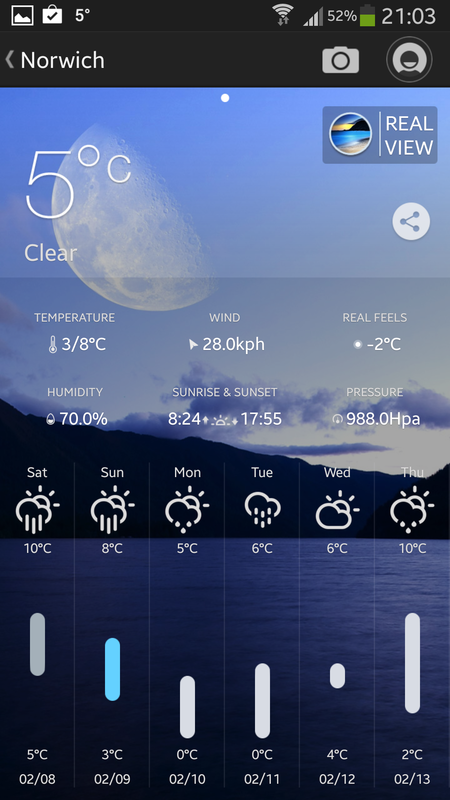 MoWeather by developer Moji claims to be the best Android weather application of 2014, providing a weather experience like never before. On opening MoWeather for the first time you’ll see a walk through of the features included with the App which visually looks great, and is testament to what I feel is the biggest strength of MoWeather, and that’s the visual UI. MoWeather can pick up your location using GPS to retrieve the latest weather updates for where you are and places the information in an intuitive and simple layout. 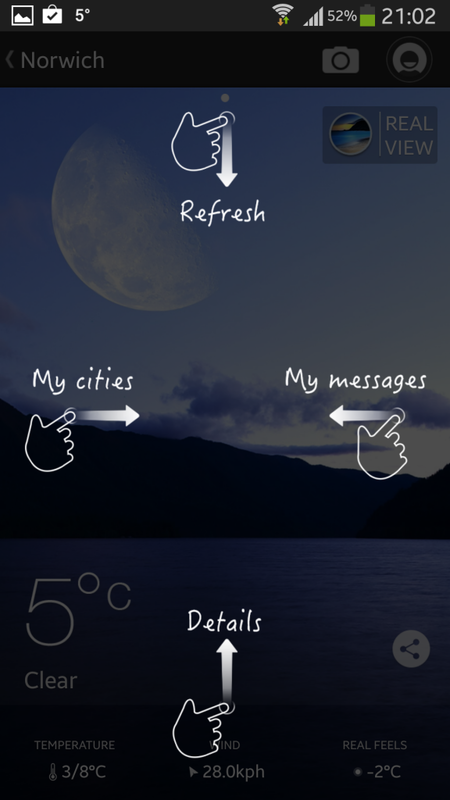 The controls are incredibly simple as well, controlling the variety of information MoWeather offers with simple swipes. Simply swipe down to refresh or up to view more details about your current location. In addition to using GPS to locate the weather in your location, you are also able to configure static cities to receive updates about your favourite places, which can be access by swiping to the right to view the configured cities. However, believe it or not, weather is not the Apps stand-out feature; MoWeather offers an inbuilt photo sharing feature which allows users to upload pictures of their locations, so not only are you presented with the weather of cities around the world, but also can visually appreciate them through user uploaded images. 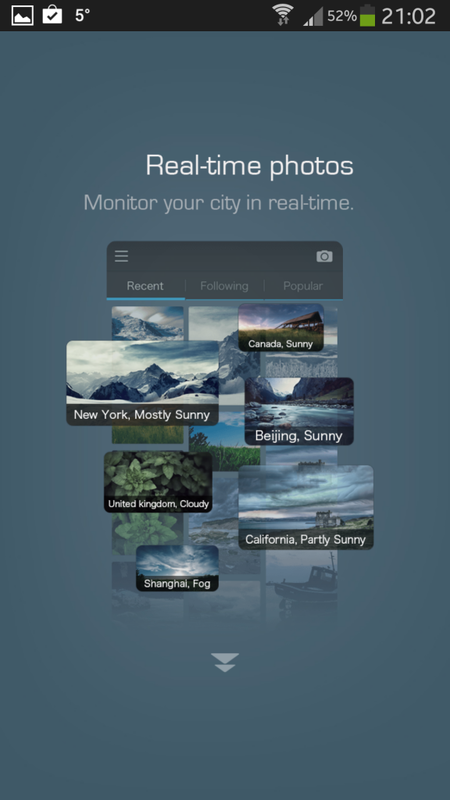 Touting over 100,000+ user uploaded images, MoWeather offers an engaging visual connection to users around the world. MoWeather also features a 15-day auto refreshing forecast as well as stats such as temperature, wind speed, and the ‘real feel’ temperature which was my personal favourite. Often similar weather Apps can seem inaccurate as they only deliver the raw temperature, but MoWeather takes into account other contributing factors to offer a more accurate reading. 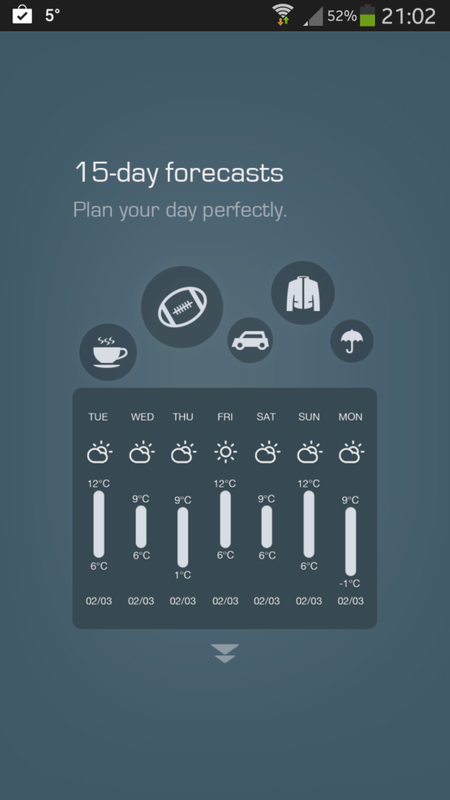 MoWeather is a fantastic weather App, and it looks fantastic, and best of all it’s free. You can grab your copy now by visiting the Google Play Store.